Brick wall leading to Cinquecento Roman Trattoria (formerly home to Rocca) in Boston’s South End. There are countless images in my photo archives of Boston’s South End. When I made the coloring book page for the painted brick wall above, I worked from a photograph I had taken a few years back. The wall pictured above is part of a brick tunnelway of sorts that begins at the sidewalk on Harrison Avenue and leads to the entrance to Cinquecento Roman Trattoria. I might add that Cinquecento makes a darn good braciolone — “Braciolone alla Nonna”— for their Sunday special. 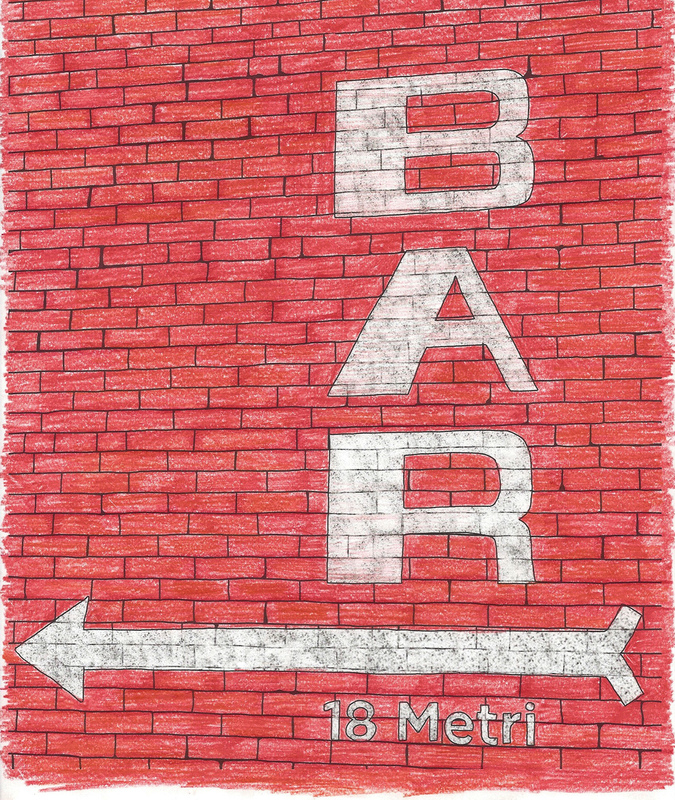 Despite my frequent strolls through this tunnel, I was surprised to find I hadn’t even noticed the words “BAR 18 metri” had been painted over! You can still see them, vaguely, beneath a more recently painted image, so I knew I wasn’t confusing it with some other South End brick wall. I suppose there will be more of these instances as the South End continues to change. Take Charlie’s Sandwich Shoppe, which closed after 87 years in business in June 2014. 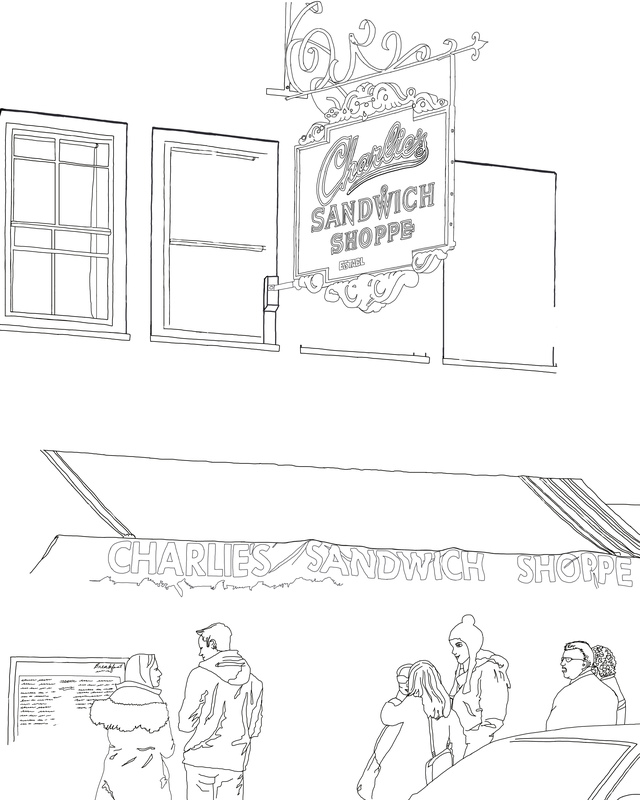 This in-progress coloring book page features a scene in front of Charlie’s Sandwich Shoppe. But wait…this Boston.com article claims it’ll be reopening in 2015. There is so much new development happening in the South End that I imagine the finished coloring book will be a mix of many different eras. Do you live or work in Boston’s South End? I’m looking for access to some high places in the South End to take sweeping aerial photos from. Can you help? Or if you live in Back Bay near the South End border and have great views of the South End, that could work too. Please let me know if you can help with this.